Asmodee Digital has given us some of some of the best digital tabletop adaptations on the platform. Titles such as Ticket to Ride, Pandemic, and Splendor are truly classics in their own right. Well, today we get another game to add to the list. 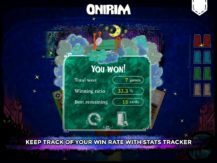 Say hello to Onirim - Solitaire Card Game, a menacing single player experience that will have you scrambling to escape its infectious design. 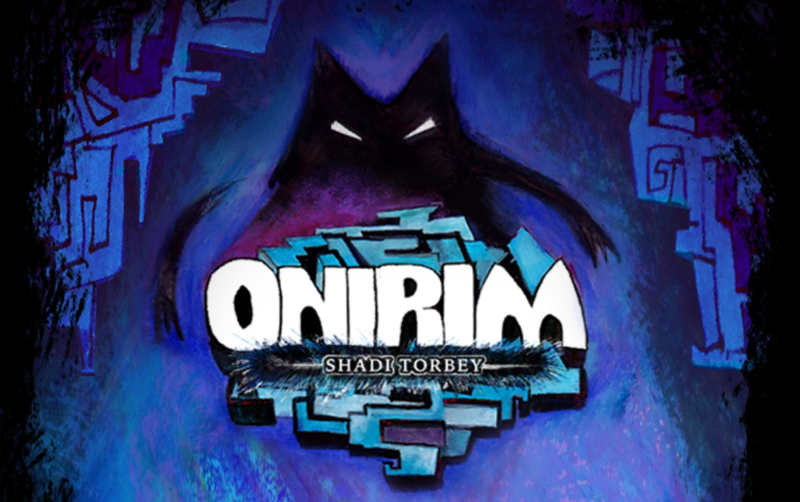 Utilizing the art from the original physical game, Onirim maintains its charm and even expands on it with enhancing animations and effects. 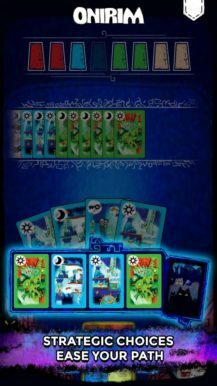 Another bonus is that the move to digital fixes one of the main complaints from the physical game. 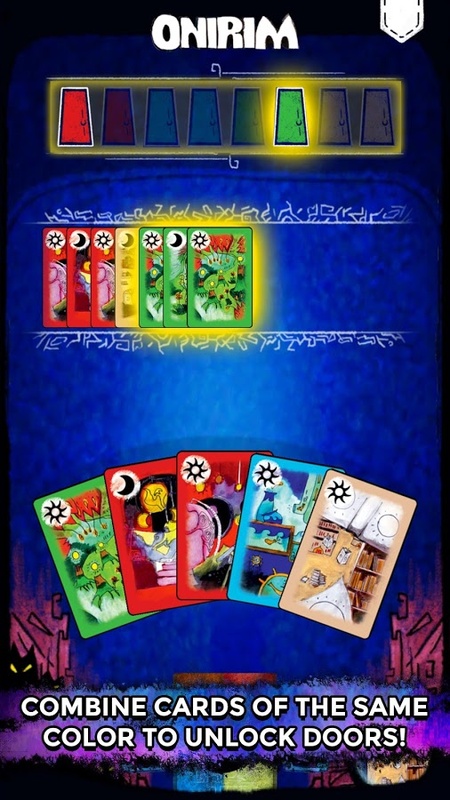 During each session, there is quite a lot of card shuffling going on. As you can imagine playing the physical release would become tiring after extended playtime. Seeing that this is a digital game there is no need to ever physically shuffle anything, thus addressing one the main drawbacks of the physical release. Gameplay wise we pretty much have exactly what the base game offered in its physical form. You are tasked with escaping a labyrinth of dreams littered with nightmares. 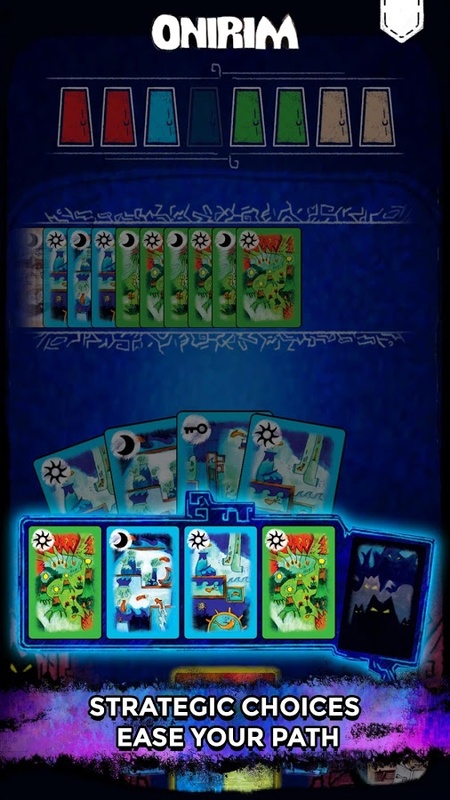 You do this by playing colored cards in coordination with certain symbols on those cards. While at first blush that sounds pretty easy Onirim is actually quite challenging and often throws a few different wrenches in your plans of escape. 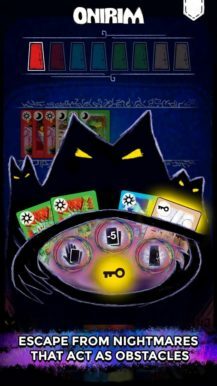 Those familiar with the physical game may be asking if its expansions are included with this digital release. Sadly they are not currently available. 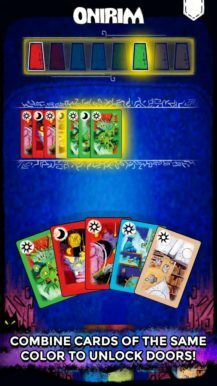 They may come at a later date but if you were looking forward to playing The Towers, Happy Dreams and Dark Premonitions, or The Book of Steps Lost and Found you are out of luck at this time. 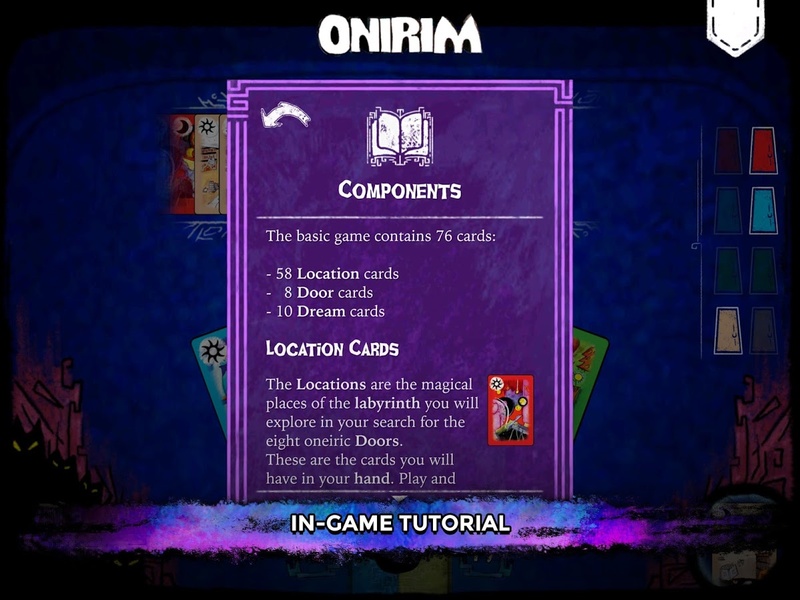 There is also no current option to play with a cooperative two-player setup. 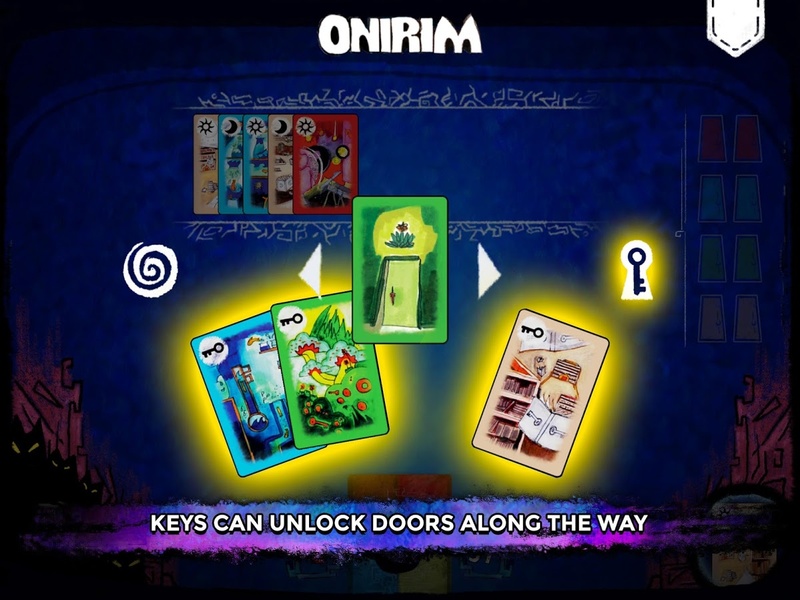 The physical game comes with rules for two-player gameplay but this digital release has no current support for such a thing. Despite these few niggles, there is still quite a lot to enjoy here. 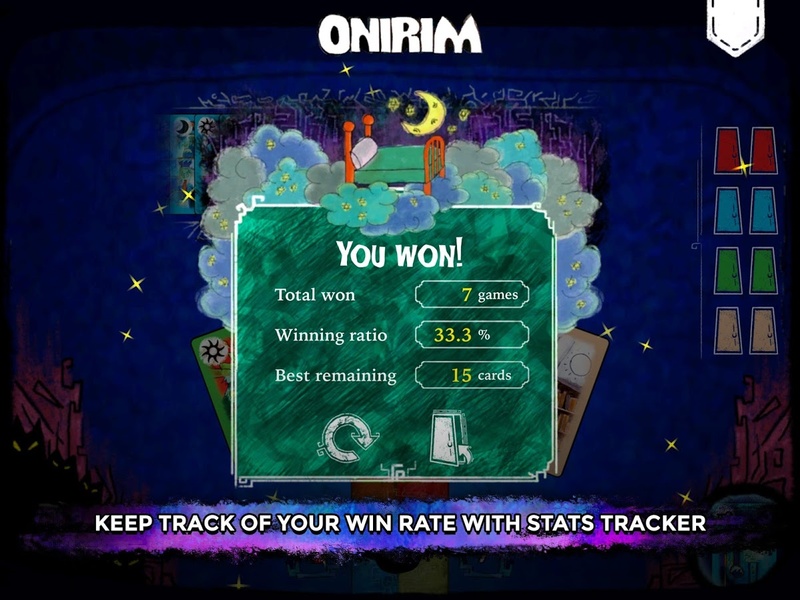 It is worth mentioning that Onirim - Solitaire Card Game is cheaply priced at $0.99. There are also no advertisements or in-app purchases to worry about. 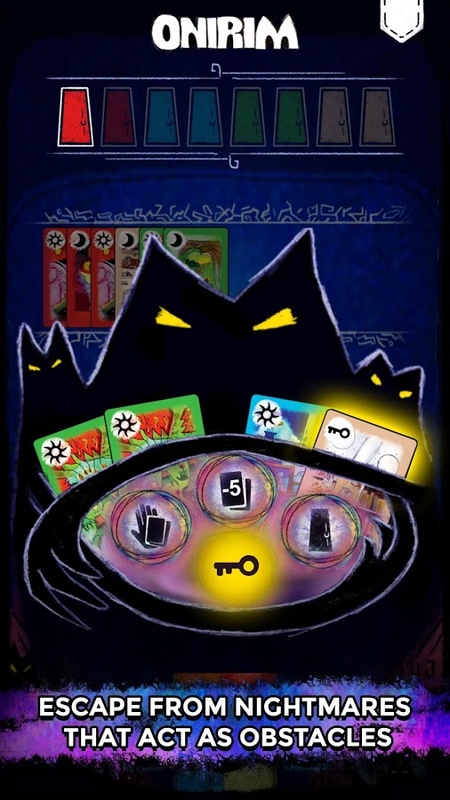 Overall I am pretty excited to see another release from Asmodee Digital. All I can say is... keep 'em coming!